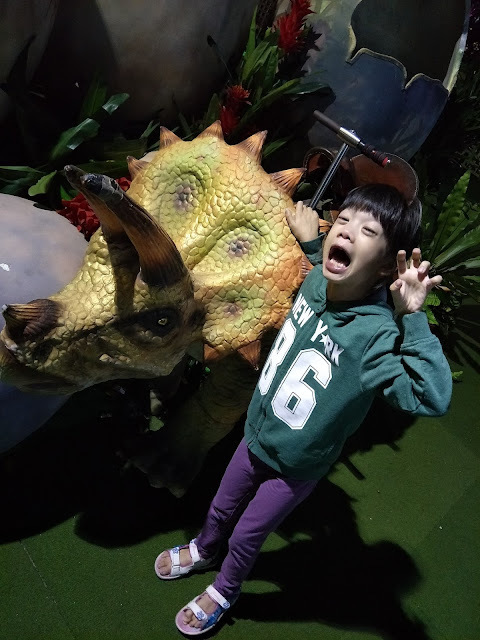 I am tagging your parents together with us to see Dinosaurs! 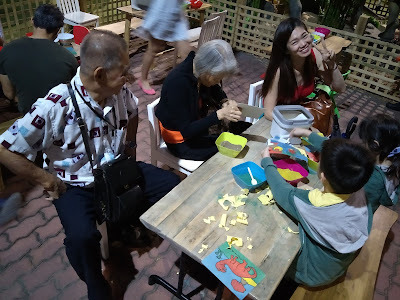 Yes I told hubby and he replied, Dad would be in total boredom! I manage to prove him wrong - and dad in law tell me he enjoy having to know that he is not sleepy watching these moving dinosaurs! And here I am shouting out to all, this could be a lovely place for a nice family gathering. 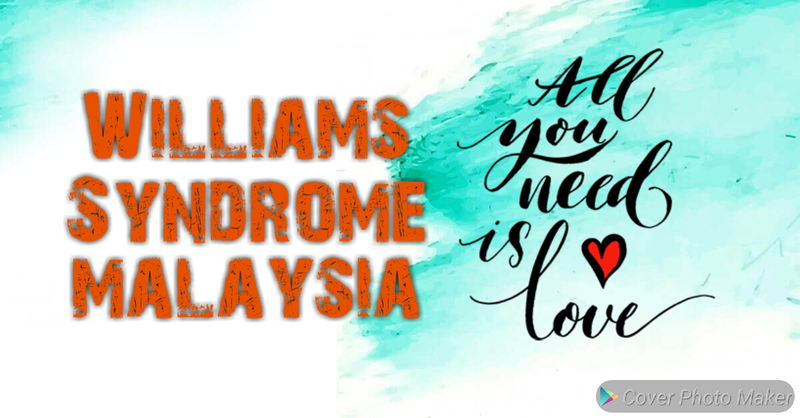 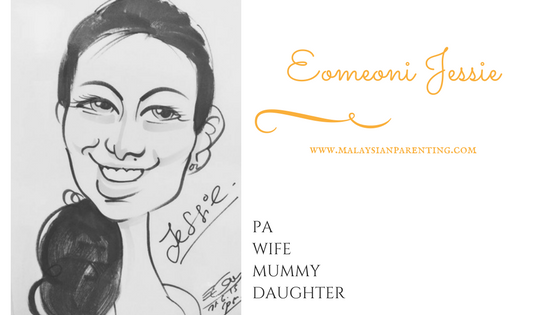 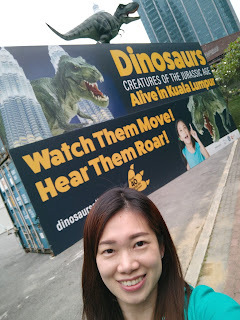 While others are gushing away to outstation during these holidays season, why not having fun in KL - less traffic and so much to see and do! 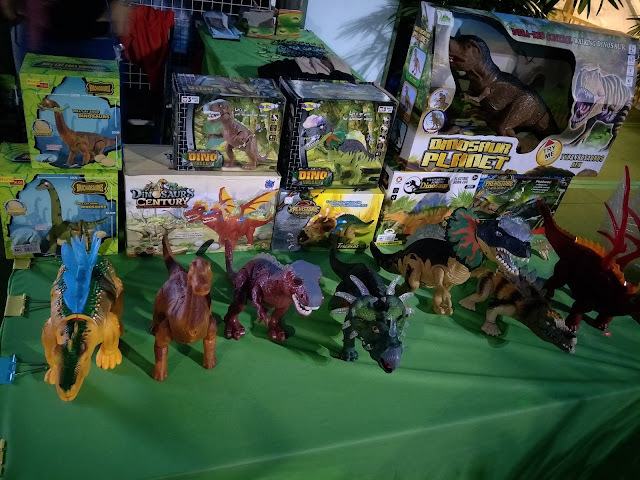 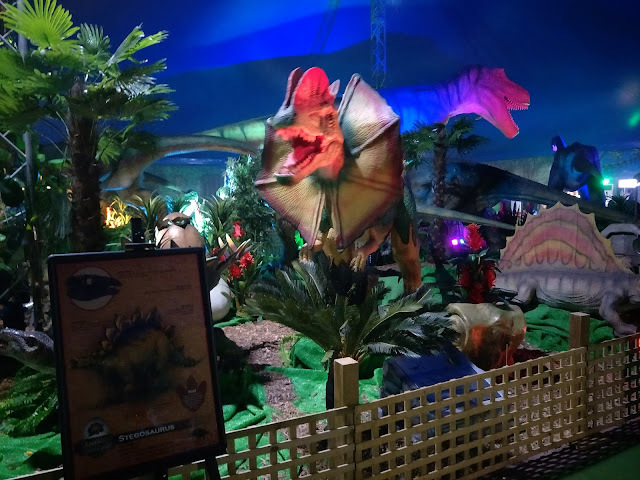 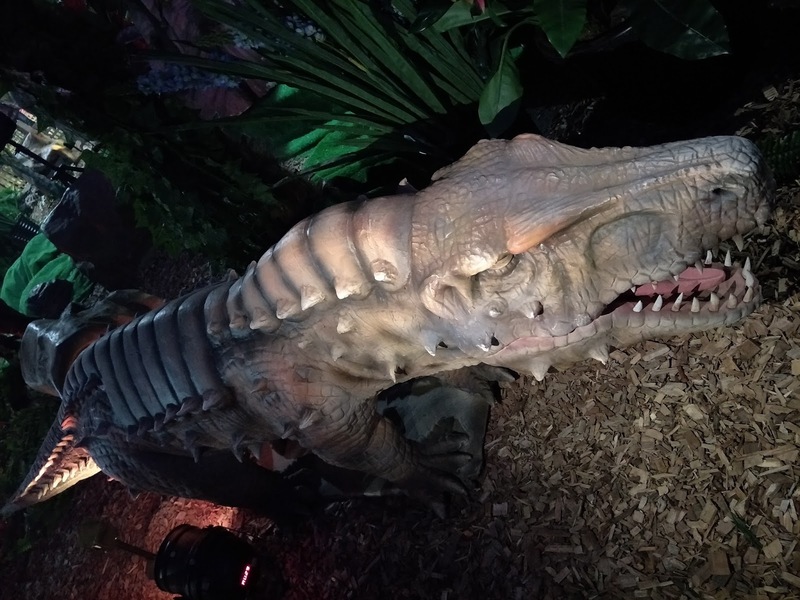 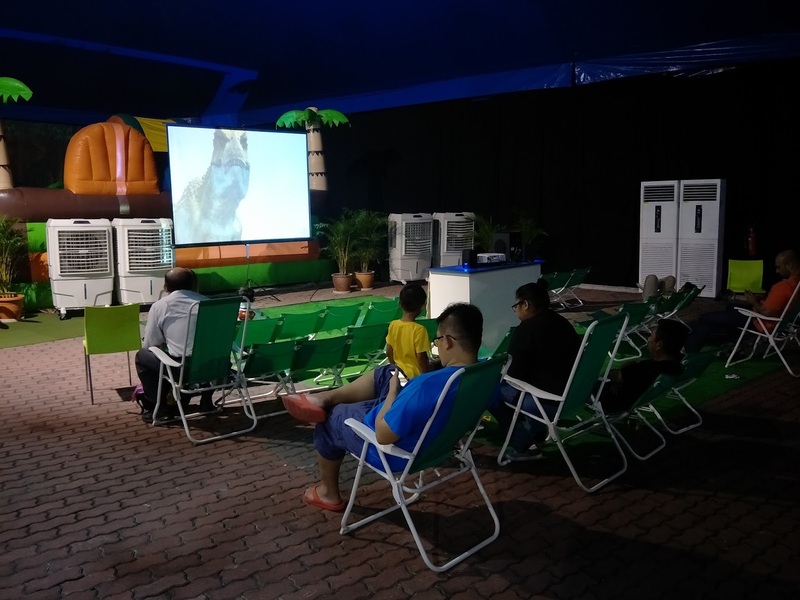 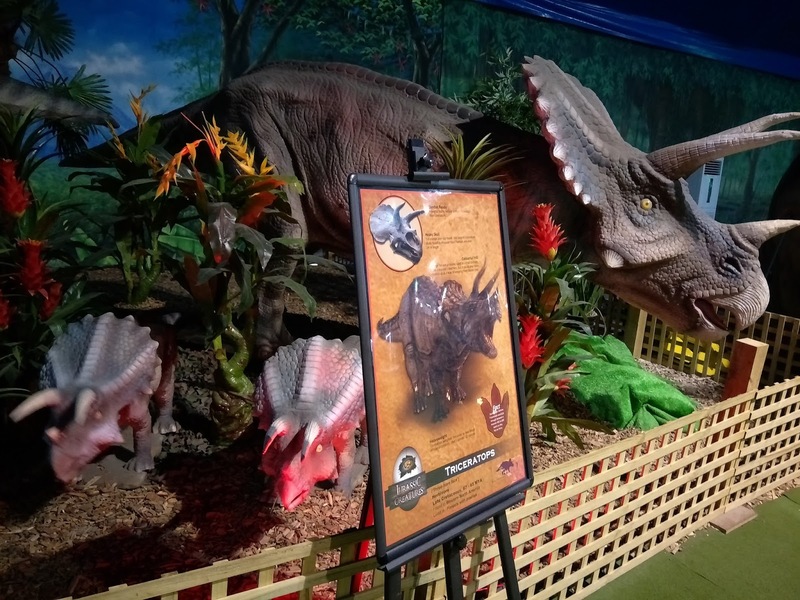 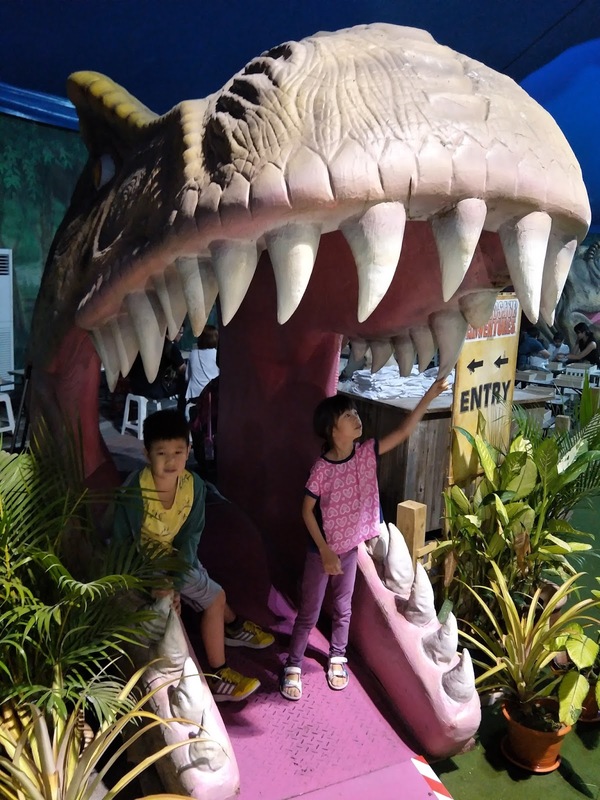 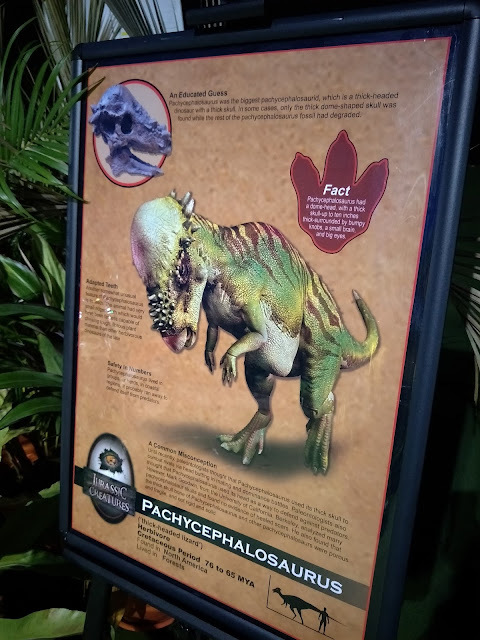 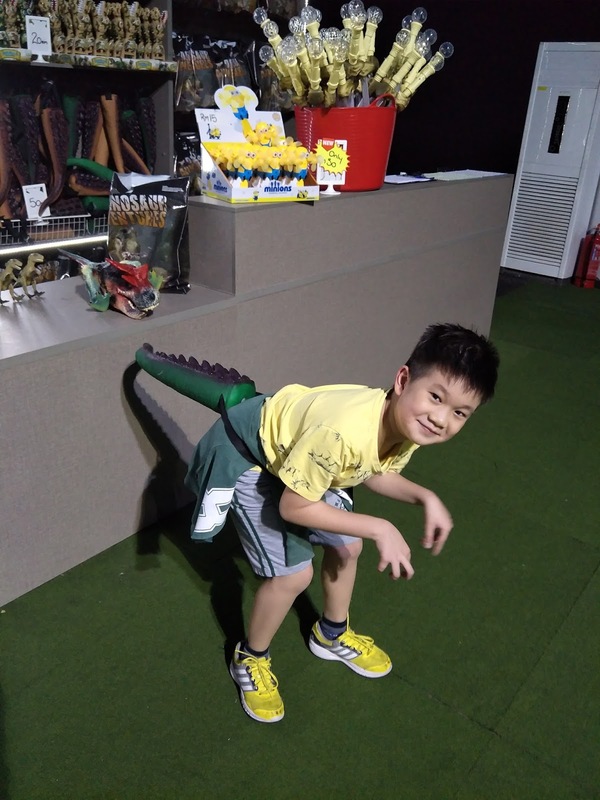 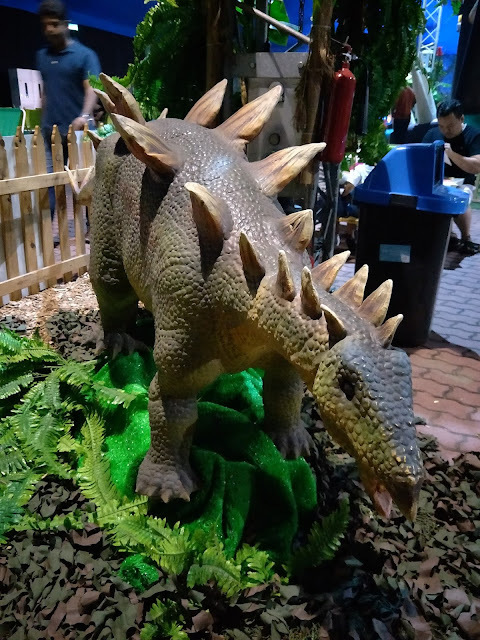 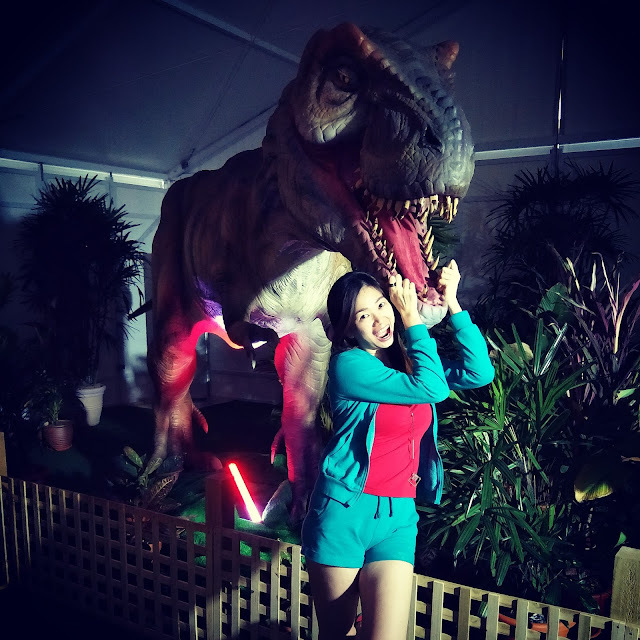 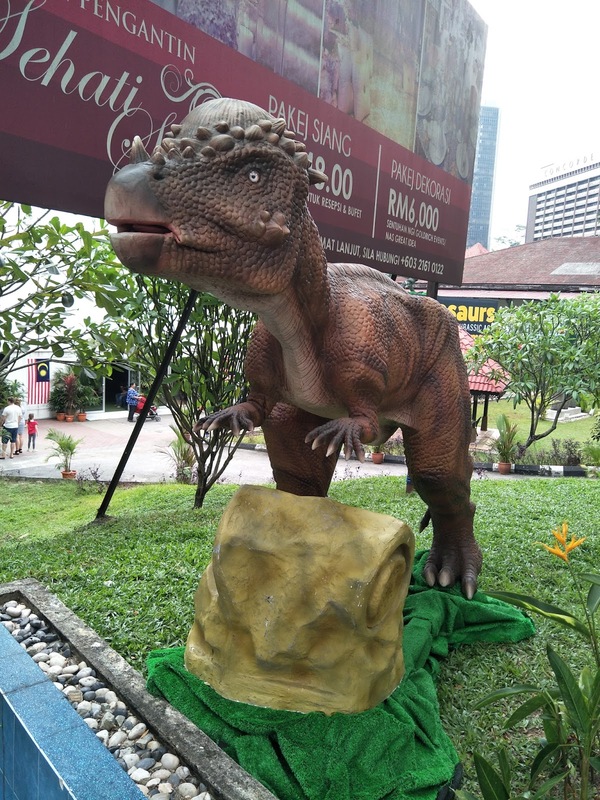 There are more than 40 life-sized, moving and animatronic dinosaurs are here for the first time in a pop-up Jurassic-themed exhibition 'Dinosaurs Alive' at the Lanai, Malaysia Tourism Centre (Matic). 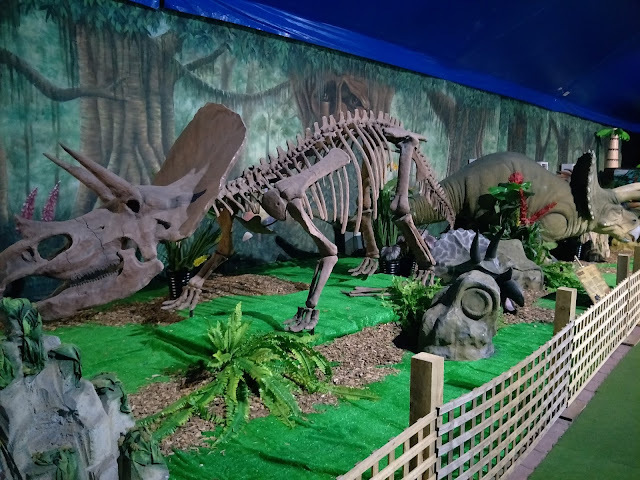 Most of the moving dinosaurs are direct from Australia, and the owner, Tony Gasser and family is well known for their circus setup. 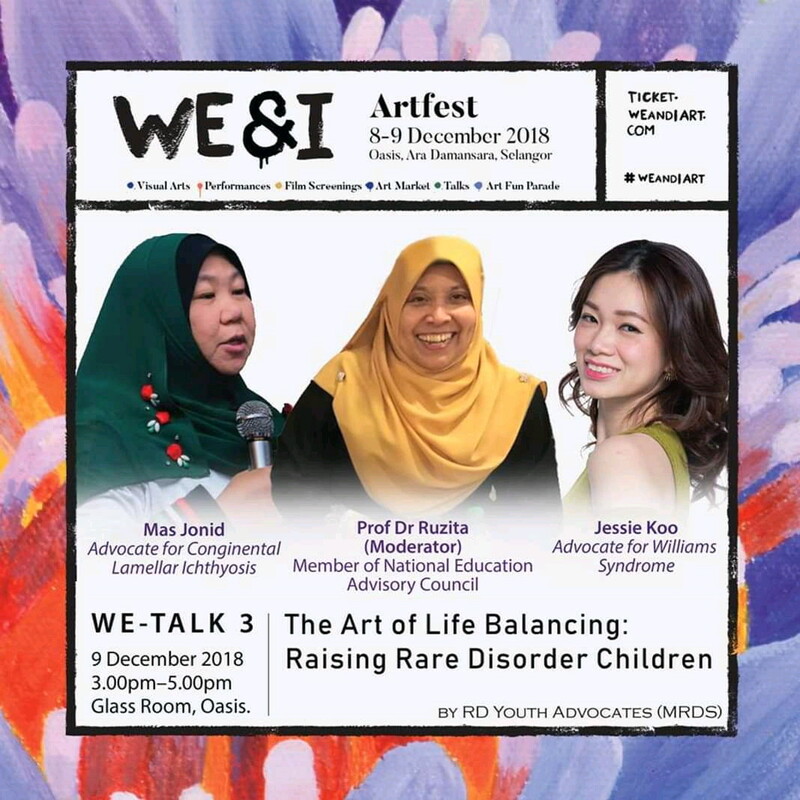 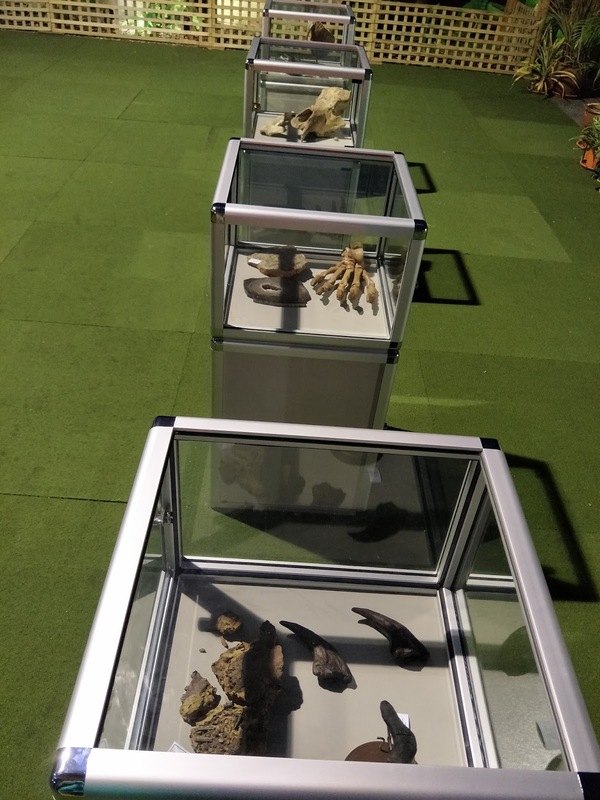 It will be a six-month exhibition for now and on it's 3rd month. It's open from 10am to 10 pm daily. 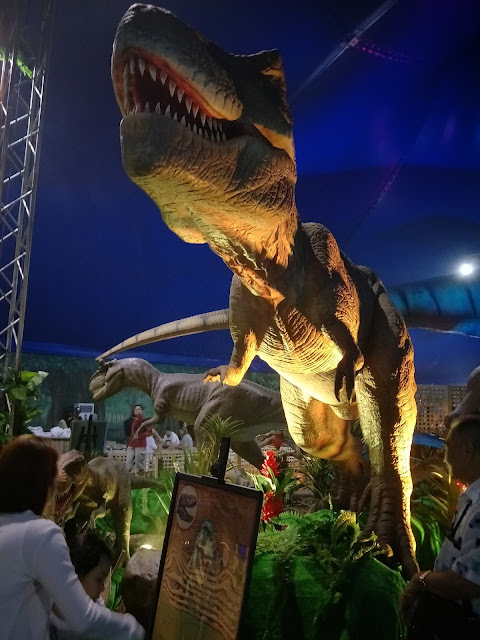 Featuring the huge fearsome colossal Tyrannosaurus Rex, the largest among the 40 dinosaurs and was made 9-metre tall and 25-metre long, which was specially made for the exhibition here. 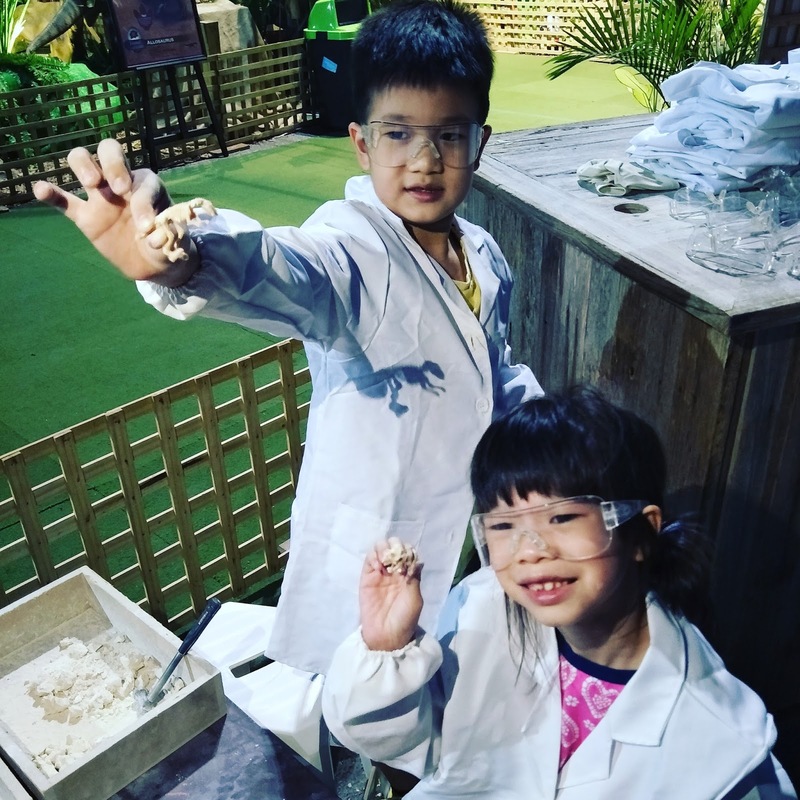 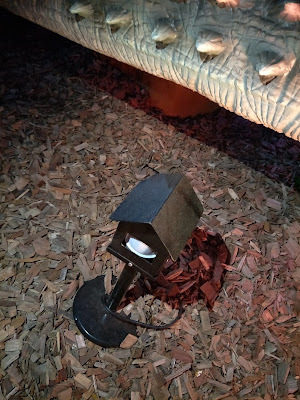 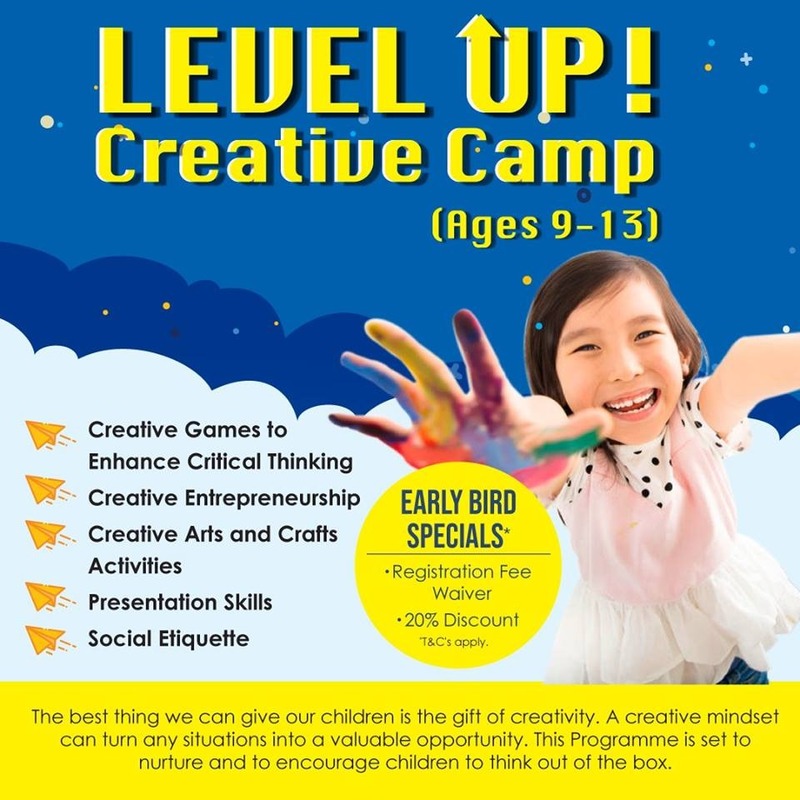 My kiddo are much occupied with children's dinosaur egg and fossil dig zone, dinosaur sand-crafting area, dinosaur bones assembly activities and themed jumping castles. Lovely Item to bring back - how nice if they have a transparent cover or envelope for this so that it's easier to bring back without making the hands sandy. 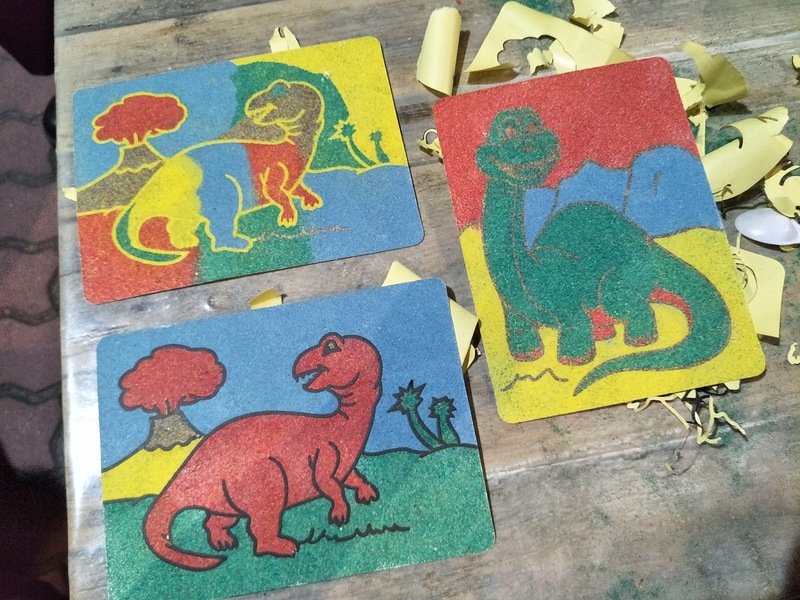 And maybe should include white or black sand, so that we could outline the dinosaur art nicely. 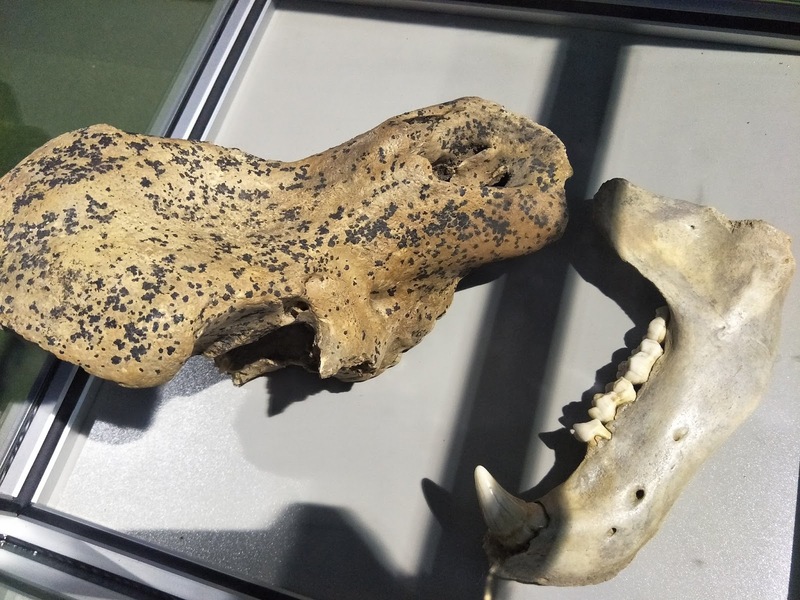 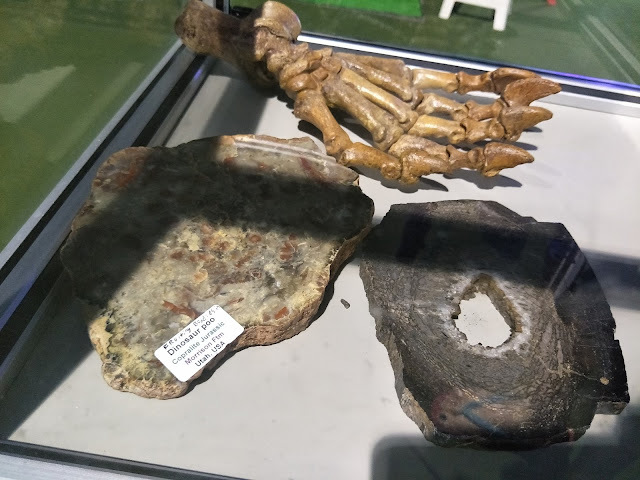 There are real fossils exhibits too. 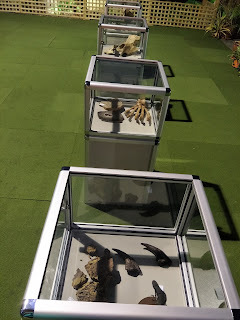 Some of these are real fossils! 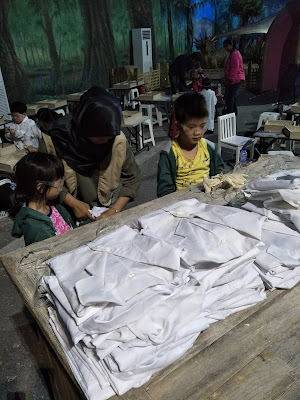 The best thing here is kids get to bring something back, not empty handed. 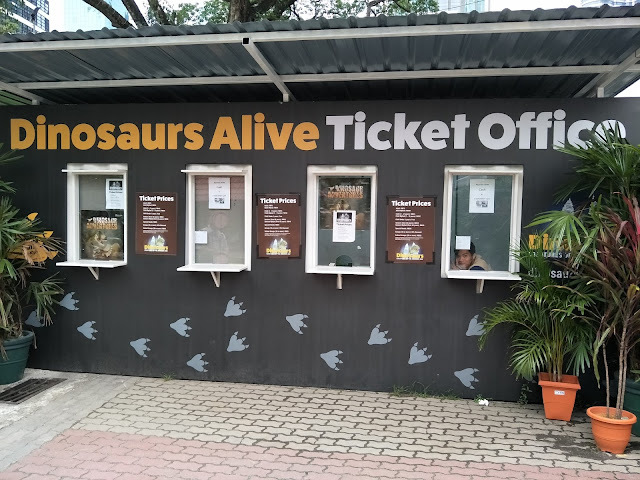 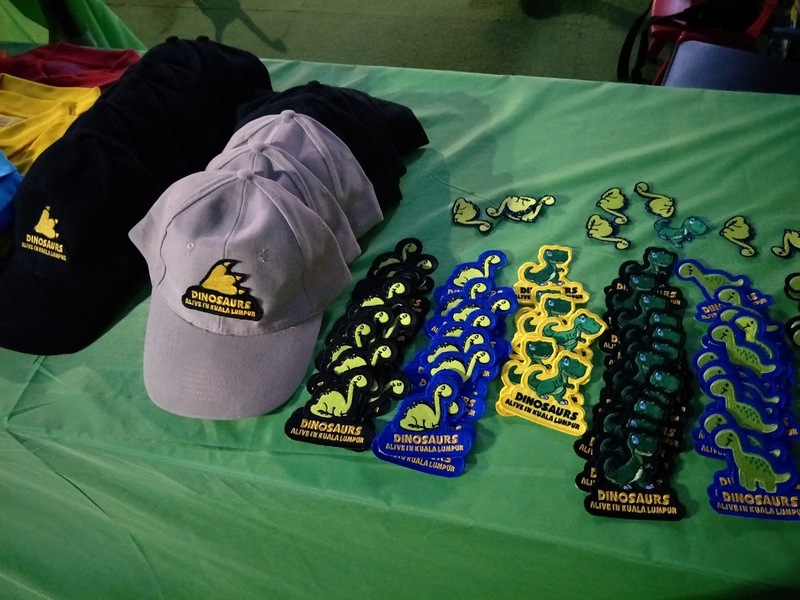 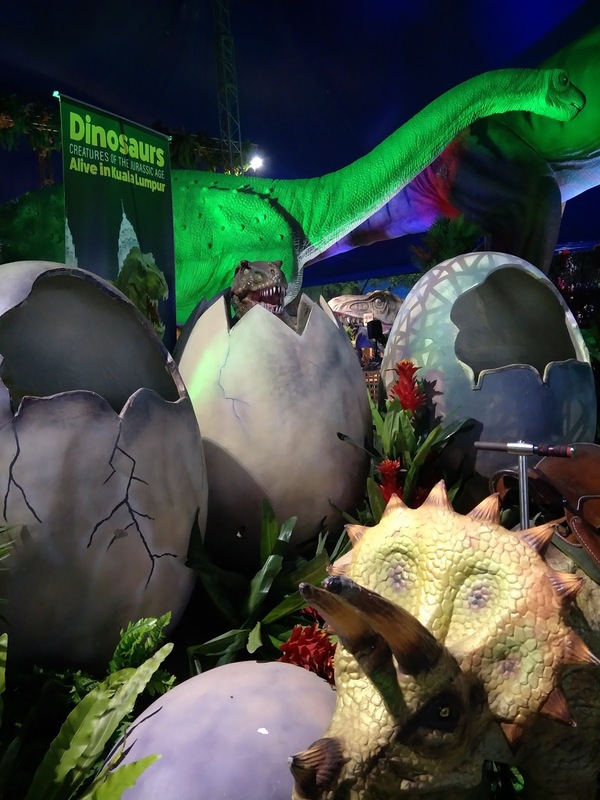 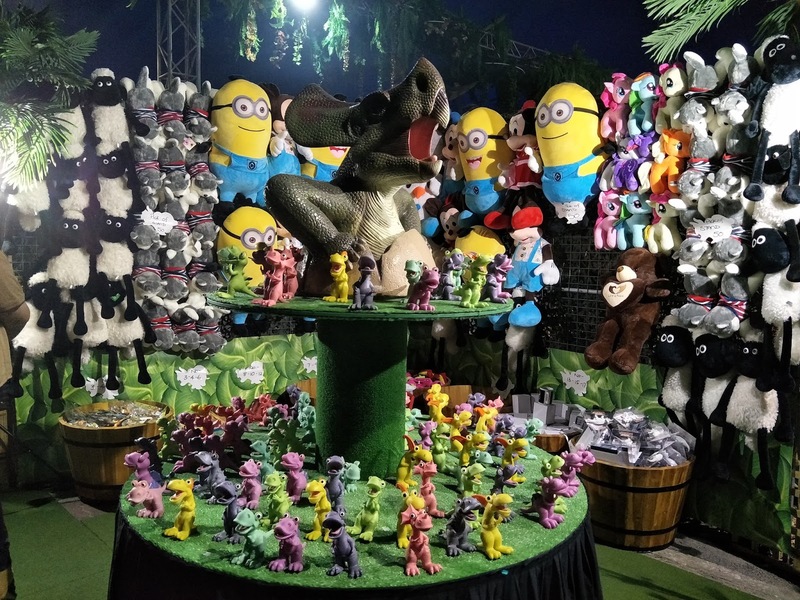 3D jigsaw puzzle is given for each ticket purchase, and you may bring back your own dinosaur from the egg digging, together with your craft at the dinosaur sand-crafting. 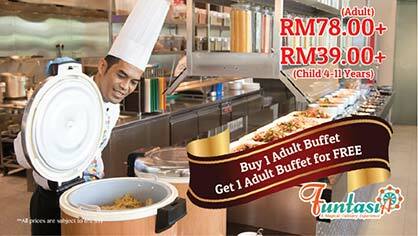 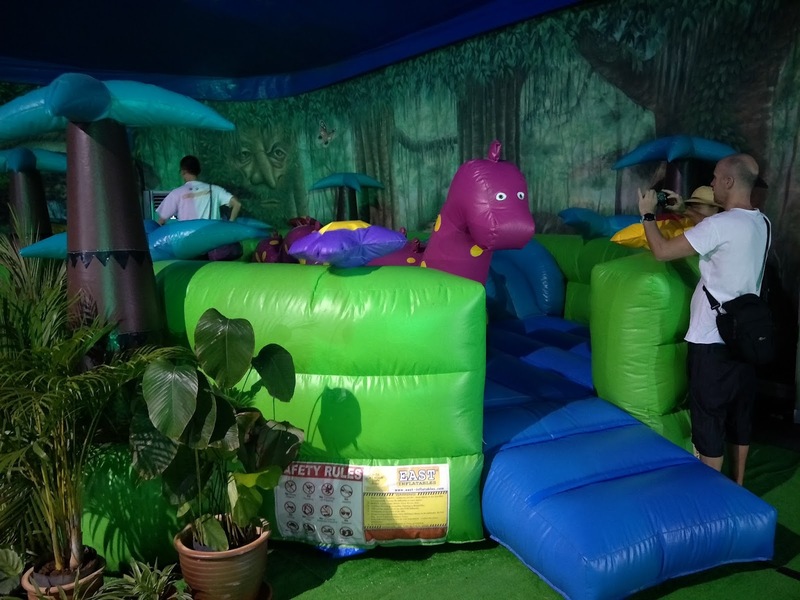 My kids love it, especially the jumping castle, and yes they can easily spent hours in it. While we get some "me" time, grab a chair and snacks while waiting for them! 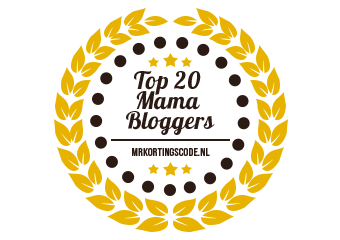 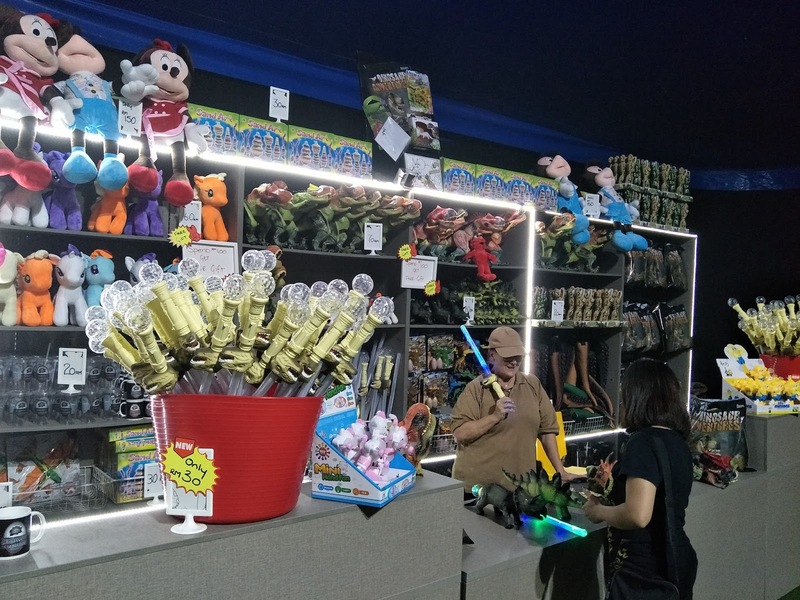 One of the lovely games store, and you will be assured that your kids would have something back - not empty handed. Cheerios! My lil dinosaur - seeing here is a dinosaur tail, a special merchandised bought in from Australia. 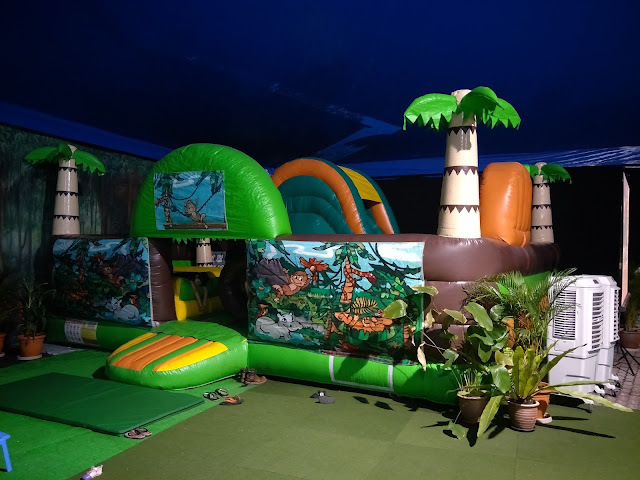 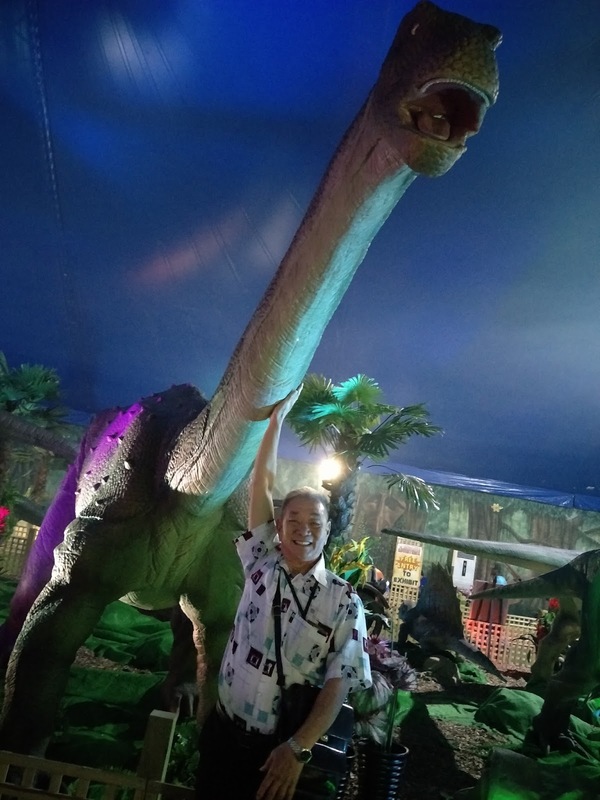 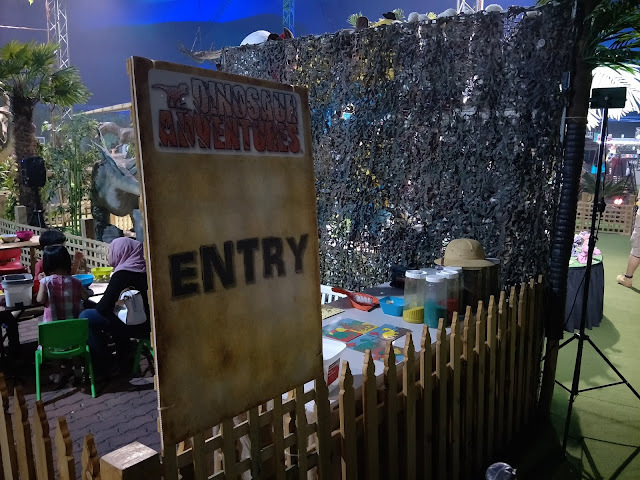 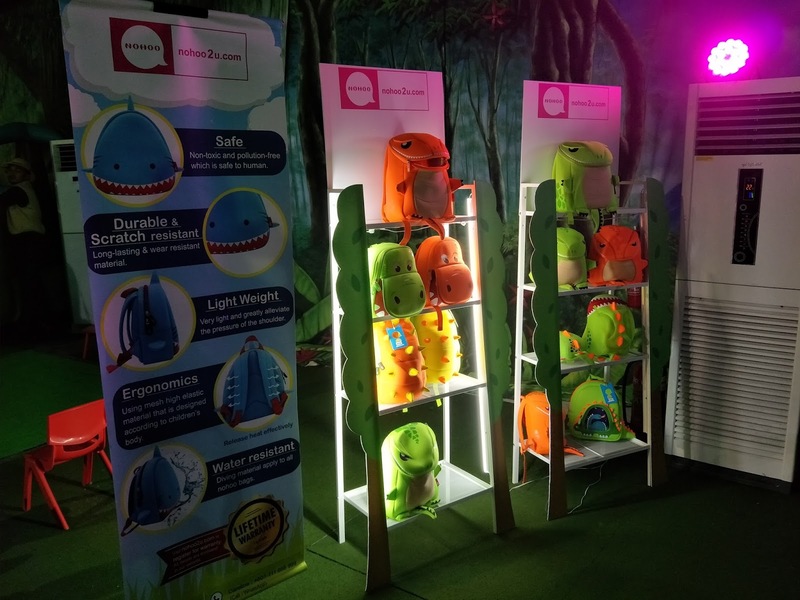 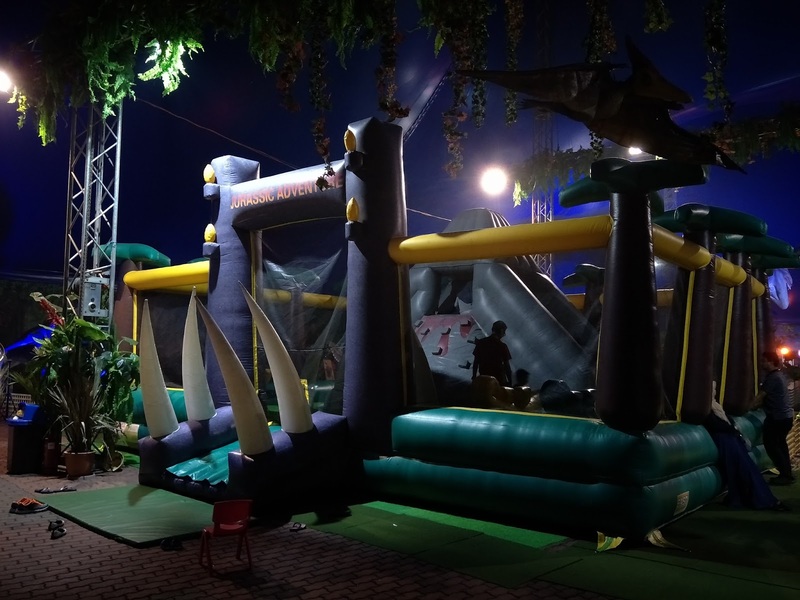 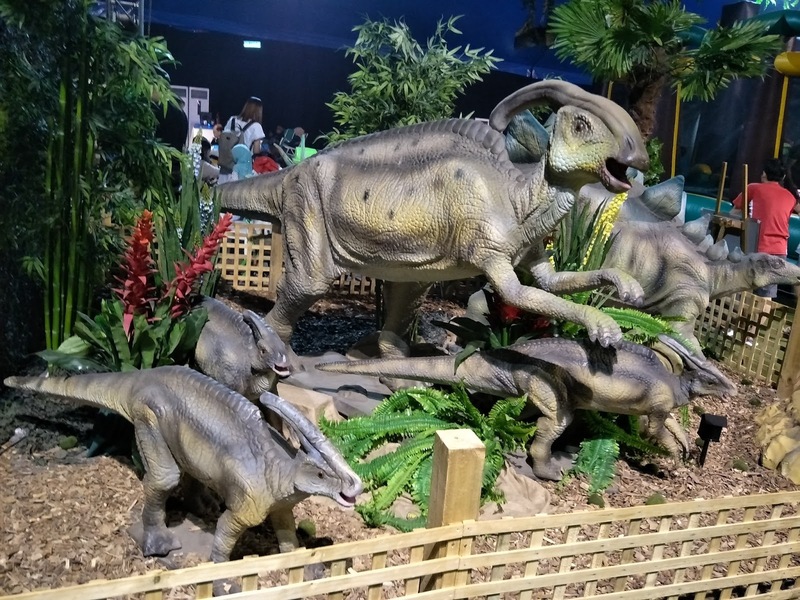 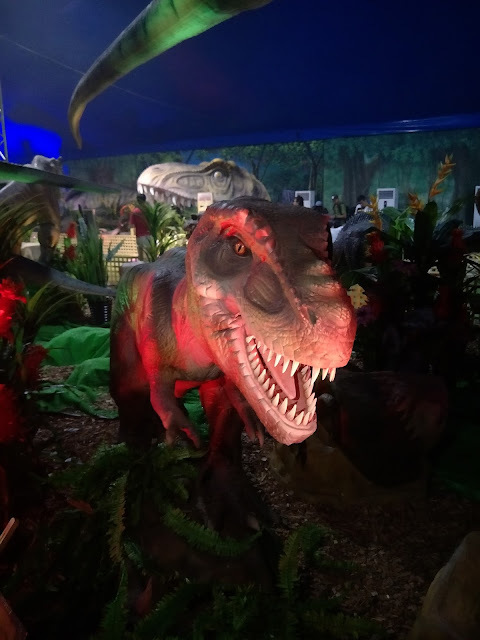 The area is not very large, great as a family place for younger children as they would love the bouncing castle and for those who love dinosaurs. 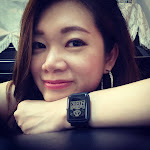 Do take note to bring in umbrella as the toilet is a walk away and is located outdoor. 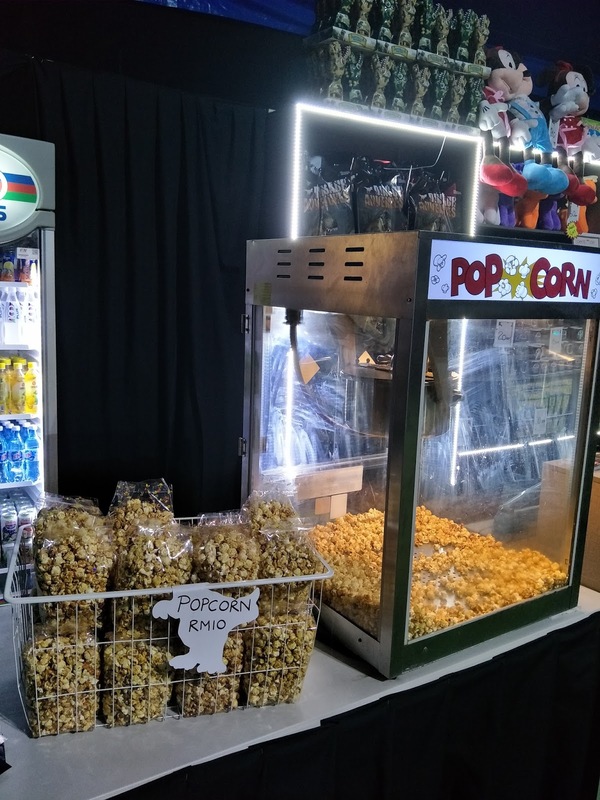 Only snacks available and most are crackers, cup noodles. To include fruits and more healthy option would be better.